What happens if you remove the winning goal from an extremely competitive guy like Henrik Lundqvist? "It became mentally difficult, telling the goalkeeper in a big interview about the future. In Kungsträdgården, Three Kronor rejoices after the second straight World Cup gold. But neither the last season's captain, Joel Lundqvist, nor the penalty hero Henrik Lundqvist are included in the celebration. The evolution has taken the twins in an opposite direction - and that's nothing appreciated by two extreme winger shells. So what do you think next? We went to Slottsskogen to find the answer. There, in an ice cold rink, Henrik Lundqvist builds up both body and self-confidence again. The time is right after midnight in the morning. It is Sweden's national day and Henrik Lundqvist has decided on the ice with the former gold heroes Henrik Tömmernes and Nicklas Lasu, now in Geneva Servette and Kärpät. "It's a fool of security to have it. Frölunda poses extremely well for us, letting us have ice and changing rooms and gymnasium, "says Henrik Lundqvist. The last season started quite brilliantly. His team New York Rangers won more than the team lost and in goal the Swedish star played better than in several years. Well, he even glanced so much that he was taken to the All Star match during the break - for the first time since 2012. But then something happened. Rangers dropped all the concepts, the shape also dropped by the goalkeeper as the rebuilding of the team. Four big stars were sold - and a lot of young talents were sent into the club. "Then you know it will be tough. Then I always go in and think we can win matches, but we were not good enough. We had many young guys with talent at the end - and they need to match to get into it. 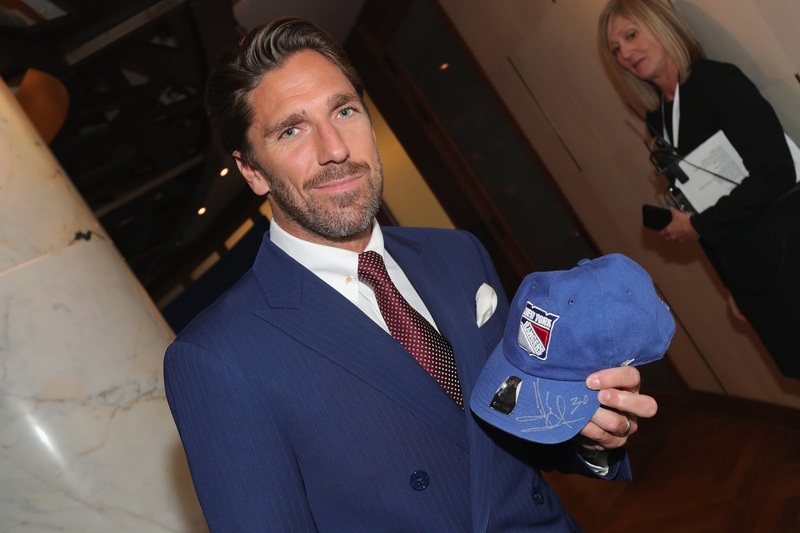 For Henrik Lundqvist, it meant an angry clinging mosquito bite on the brain. "We began to lose, there were many injuries. And on top of that, management says that we will start rebuilding. Mentally it became difficult - feeling we should not go for it. It certainly took three to four weeks for me to process it, to really accept it. Henrik silences for a second. "I never had my 18th birthday in top hockey, five in Frölunda and 13 in Rangers, experienced that we did not go for it. Suddenly we would not do it. Now it was more about developing the guys we raised. There is a lot around hockey like I think it's fun, but in the end it's about winning matches. There was a conflict inside, how do I process it? It clearly drew down the feel of the last season. Were you ever close to leaving Rangers - when the club would not go for the title? - No, never. We had a talk early before everything broke out. They told me how they thought - and I said, this is where I want to be. I've been here for twelve years - and I'm with you! There was never a talk about any options. - Ah, decide and decide. I have a no trade, but there are two parties. And I want both to feel that's right. They were happy to hear that I want to join me - and that means a lot for me to drive! Driving clearly means playing out the contract, which runs over three seasons. - That's the plan, haha. 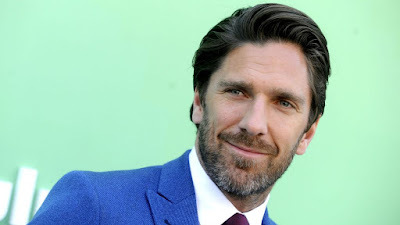 The season ended after the NHL series - and Lundqvist was never allowed to go to the World Cup in Copenhagen. Rangers examined him and said definitely no. "I would have liked if I could. But it was a blank no from New York when we did a MRI. I needed rest, says Henrik Lundqvist. His knee, which was also an uncertainty factor during World Cup gold 2017, has been vibrated during the season. - I needed to take this syringe. Previously I have had cortisone in my knee, but now it was PRP. You separate red and white blood cells - and you enter white blood cells to activate the area, "says Henrik. What do you really do for damage? "I can not go too much on details, but it was a bit hurt from last year. It healed well this summer, but then I hit it in the fall - and I never really got rid of it. It was under control, but it was not optimal. Did you have to rest some matches because of your knee? and the children Charlise and Juli home to Sweden to celebrate with the family. Shortly thereafter, New York Rangers presented the new coach David Quinn, a 51-year-old from Boston University. It will be Rangers fourth coach during the years that Lundqvist played in the club. The team is being rebuilt in total - and young Lias Andersson is one of the players that the future is being built around. Even Färjestad's forward Michael Lindqvist, an unpredicted 23-year-old who scored 20 goals in SHL this winter will play for Rangers. "We also have many young and skilled backs. It will be exciting - and it's an important summer for them to build themselves up too. The way we played the last two months, where we dared a lot, was good - but we also need more smartness. We have a lot to learn when to dare and not. It will be a new feeling with a new coach - and there are many hungry fighting for places. You say hungry. How hungry are you? "I've looked at the final game a lot - and I want to be there. There is no snack. I need these months to process what has been, but also to charge energy. It's only June. I know I had the fun of the first half of the last season. It was fun around, too, with trips, with matches. Then when we begin to lose ... then it will be heavier. The key is mentally trying to win as much as possible. But I think it's fun! Otherwise, the summer's scheme would have meant a lot more ice. 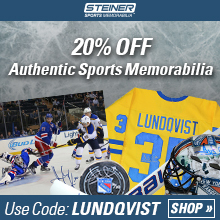 June has just begun and Henrik Lundqvist has already been on ice a handful of times. Goalkeeper Benoit Allaire remains in Rangers - and he has sent a number of improvement points to the keeper. If you look at the last season - what could you have done better? "If we're going to nerd down in detail, I have to be more consistent in my playing field. It has helped me for many years. But in recent years there have been more open positions - and it has made me more aggressive in some situations and in other places I'm back. My game has varied. I'd rather play the same way all the time. I feel safer when I know what I can expect from myself. I have to be faster, work more technology with my feet. It is important! Can you be faster than 36 years old? And the feeling of being in a team that does not win or does not go for the Stanley Cup ... it does not want Henrik Lundqvist to experience again. Lundqvist would like to return to it. The feeling of winning - and especially in a final game match. - It gets so much more intense. More adrenaline. Everything you know during the starting season comes more during the playoffs, so it will be more fun. That's the high you want? - Yes exactly. The important matches during the playoffs, when you win that one ... that's the high one you want to eat. We've had many game seven, overtime ... it's almost like winning a championship to win such a match. At the end of the training, trion turns out. Empire and Lasu against Lundqvist, three pucks each close, shot or draw. "We will set two goals to win," says Henrik Tömmernes. - Two goals were, huh? "Well, together, Nicklas Lasu replies. And then Lundqvist turns on the winning shells. He does release a puck from Tömmernes, but someone else will not. "That was important, Henke flips when he glides off the ice. - Strange that he did not hit until we beat, Lasu picks up. Now I can work more with details, nudge on some things that I feel I need. There is absolutely no stress. Amongst things, there may be a stress to get started in August, but now I feel I have so much time ... it's easier to work, work a bit more methodically. Usually I do not usually go on until the end of July. This is just the second time in 13 years as we miss out games. The foundation for a new success will be built from behind. From goalkeeper and backs. Lite as Frölunda tries for the coming season. - Now it will be a reboot. We need to find the right way to play - and I have read that the new coach wants us to focus on the defense. It sounds good, for the last three seasons we have been at the top, or rather the bottom, of the teams that give the most chances to us. It may have a little to do with the fact that Rangers defense has not worked at all times - but also with the young players coming. Which is not as tactically controlled. - Now the players are more "I'll try" ... and then they run! Many times it goes, but sometimes it goes wrong too. That is why there are situations for me too, it will be free. The players are much more creative, because they have practiced it. The skill is higher now than it ever has been, I would say. It's faster. How are you going to be 36 years old then? - Then you can train in June, haha! For the first time in a long time, the whole family is also gathered in Gothenburg. The sister Gabriella is visiting with her family from the United States - and it involves a lot of dinner with brother Joel, father Peter and mom Eva. foreign player, Nicklas Lasu ficks on the phone. He's coming to-tomorrow at 09.15 to 12 - or Friday at 12 o'clock? "We are running tomorrow at ten o'clock, Henke replies quickly. Lasu and Tømmernes nods and goes out in the summer heat. Lundqvist wears a hoodie in sweat material. The day is not over yet. A passport in the gym awaits. No stress, but still a huge press. Family: The wife Therese, the daughters Charlise and Juli, five and two years. 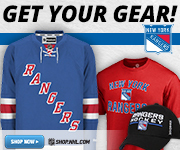 Club: New York Rangers - contract until 2021. Current: Home in Gothenburg and already exercising on ice ahead of the new season. On August 11, Henrik and Mats Zuccarello also organize a charity day at Ullevål in Oslo for 25,000 spectators. Celebrity matches and performances - and then a match with a lot of hockey stars. The surplus goes to Henrik Lundqvist Foundation and Right to play.